What started out as a little hobby is ... still very much just a little hobby. But, it is pretty cool to get a brush with celebrity. 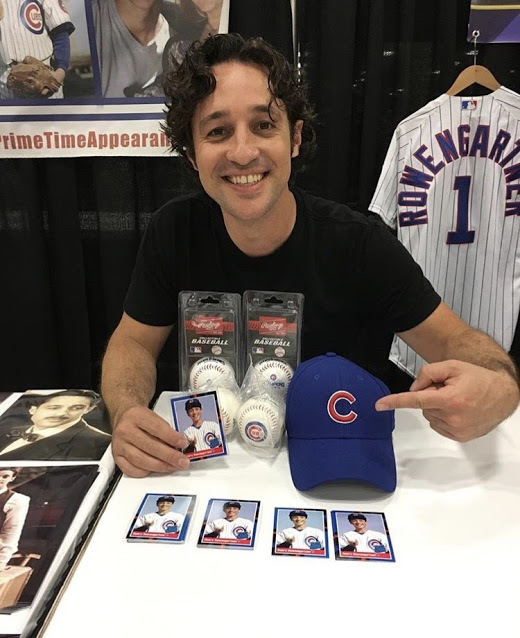 As I detailed in my Motor City Comic Con post I gave Thomas Nicholas one of my Henry Rowengartner cards upon getting him to sign one for me. I later tagged him in an Instagram post. To my surprise he commented on it saying how later a kid came up to his table saying how cool it was that he had his own trading card and inquired about getting more for the upcoming Alamo City Comic Con in San Antonio. Through a series of DMs back and forth we made a deal and I overnighted him a crisp stack of Henrys. As part of the deal I got a couple more Rookie of the Year cards auto'd for my personal collection with some pretty awesome inscriptions.